Last weekend Shirley, our friend and neighbour invited us for dinner. 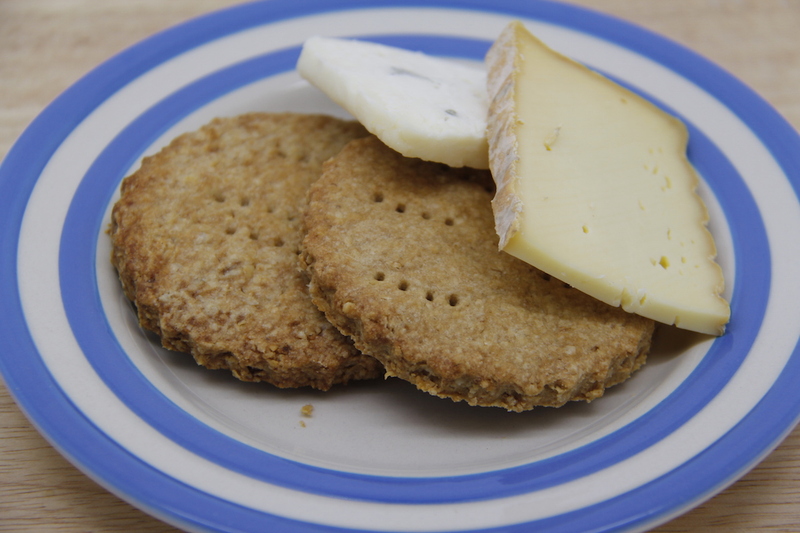 I decided to make some savoury digestive biscuits to take along as a gift – recipe three from The Great British Bake Off Big Book of Baking (18). They were really lovely, we had them with cheese after a delicious meal. I kept a few at home to snack on during the week as well! I forgot to add the chilli and psices – will add these next time. 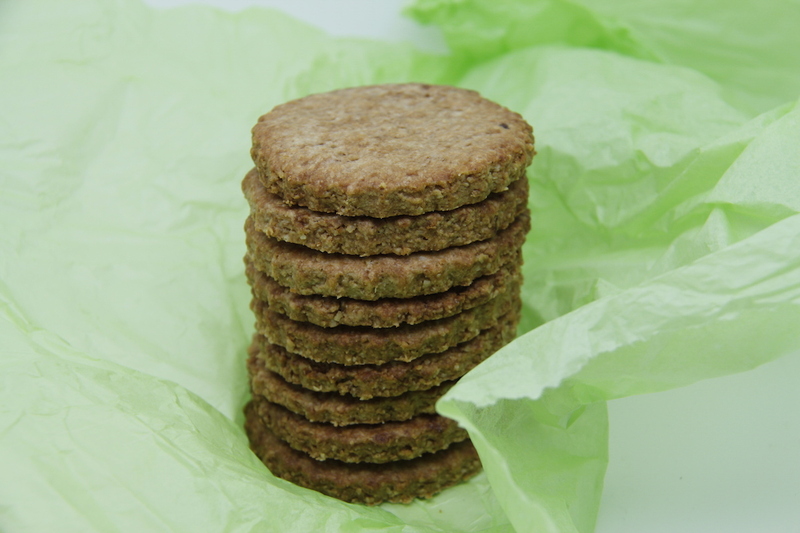 Digestives: 150g wholemeal spelt flour, 160g oatmeal (I whizzed up oats in the food processor), 1/2 tsp salt, 50g musccovado sugar, 150g butter, 1-2 tbs milk, 1tsp baking powder. Put flour, oatmeal, salt, baking powder and sugar in a food processor and blitz. Add the butter in chunks and whis until it looks like fine bread crumbs. Add enough milk to make the mixture come together in a dough. Take the dough from the processor and flatten it into a thick disk, wrap up and let it rest in the fridge for 30 minutes. Put the dough between two sheets of baking paper and roll out until about 4mm thick. 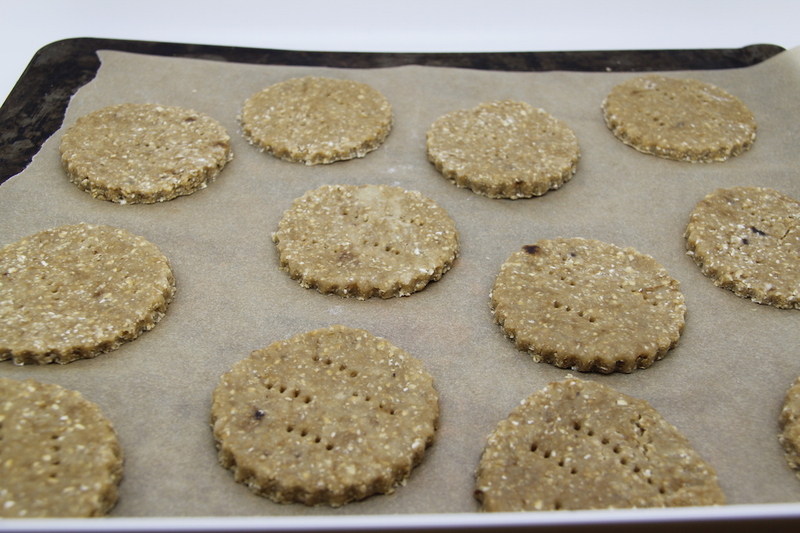 Cut into rounds and place on a greased baking sheet. Prick with a fork a few times. Chill in the fridge for ten minutes or so then cook at 190C for 10-12 minutes until golden brown. Let the biscuits cool on the sheet to firm up for 5 minutes then transfer them to a wire rack. They keep for about a week. I will try the sweet ones next week. N.B. we had a lovely time at Shirley’s as well with delicious food and great company.